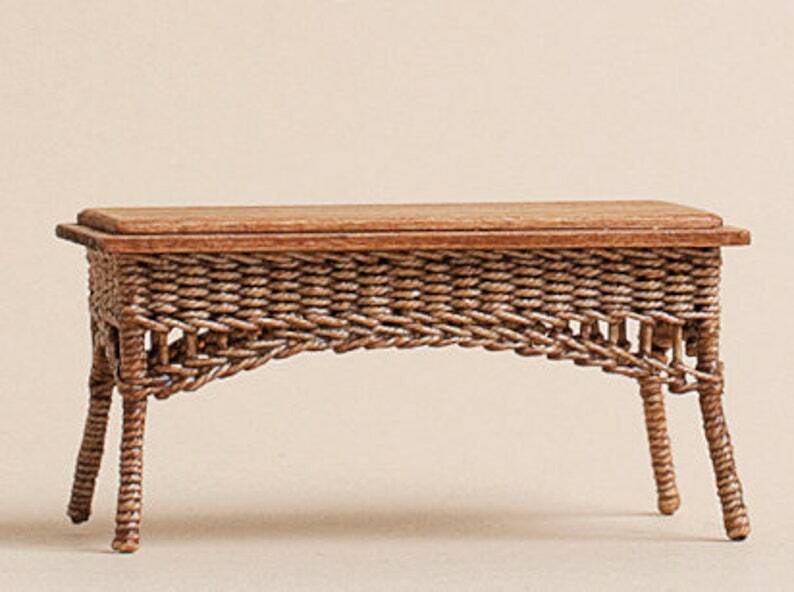 Dollhouse miniature, Wicker table rectangle, light brown, measures H 34 mm. x B 64 mm. x W 32 mm. Wonderful work. I love my new wicker table.